You are currently browsing the daily archive for February 3, 2012. JosephJoseph recently unveiled their 2 latest products at Maison & Objet 2012 in Paris, one of which is Twist. 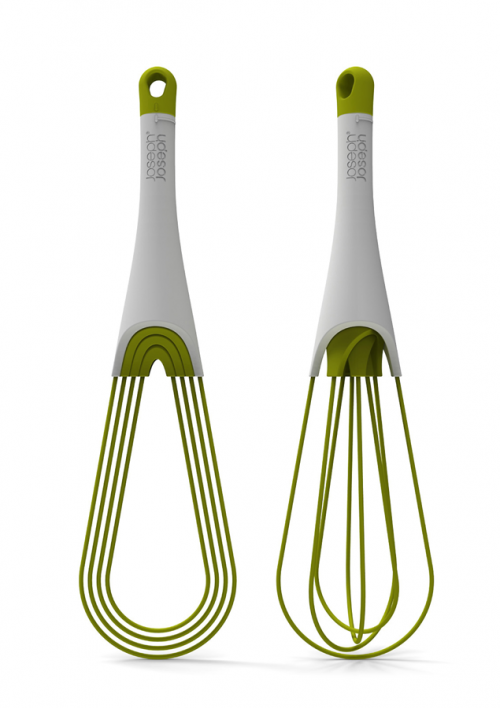 As a flat whisk, Twist™ is ideal for mixing sauces in low pans or for making gravy in roasting trays. Its silicone-coated steel wires are suitable for non-stick cookware and are perfect for scraping and combining ingredients together, preventing them from burning on the bottom of a pan. Then, with a simple turn of the handle, Twist™ also becomes a highly effective balloon whisk, allowing egg whites to be whipped into peaks of perfection. All the parts can be easily separated for cleaning and, after use, Twist™ can be closed flat for convenient storage in a drawer. Its silicone wires are heat-resistant up to 520°F. Nestä is the ultimate collection of practical, space-saving kitchenware comprising a unique range of food preparation sets. Their innovative designs allow the individual elements within each set to be stacked together, thereby occupying the absolute minimum amount of space. Nestä Utensils are the latest addition to the range, comprising 5 essential kitchen tools in a compact, self-supporting design which not only looks great in the kitchen but eliminates the need for an additional utensil pot. 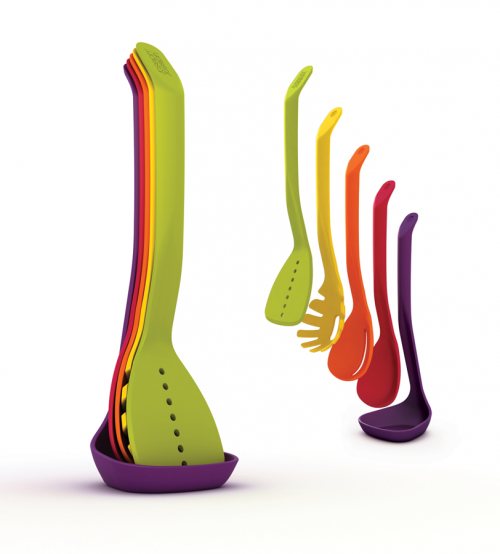 The set contains a slotted spatula, spaghetti claw, slotted spoon, solid spoon and a soup ladle which all nest neatly together and are held in place by small magnets in the handles. The tools are made from toughened nylon and are heat-resistant up to 464F°.